AMD has officially launched its 2nd Gen Ryzen desktop processors. The new chips are based on the Zen+ architecture and are an interim upgrade in anticipation of all-new Zen 2 architecture due sometime next year. 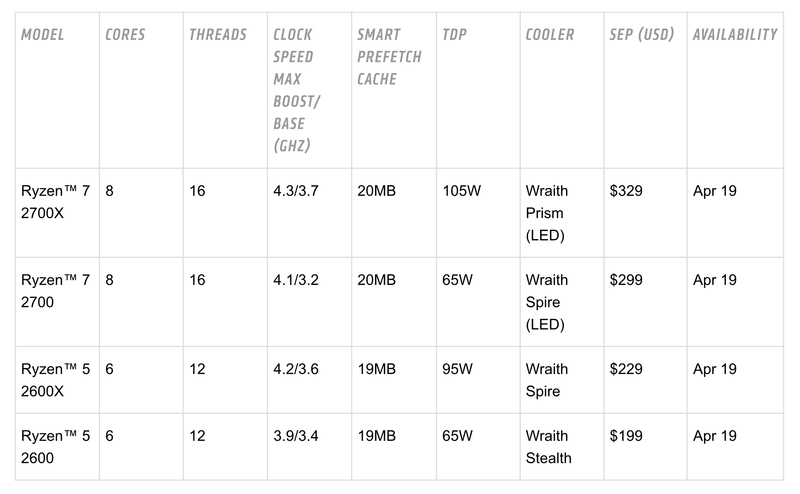 The new lineup includes two 8-core, 16 thread models and two 6-core, 12-thread models that feature improved performance and support for AMD SenseMI technology. The big news is that the new flagship chip, the AMD Ryzen 7 2700X, is priced at just US$329. 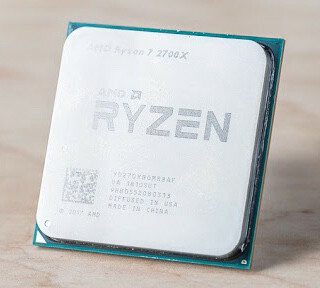 This chip replaces both the 1st-gen Ryzen 7 1700X (US$399) and 1800X (US$499), making considerably better value, particularly when you also factor in the free AMD Wrath Prism LED cooler included in the box. AMD’s Ryzen 7 was already threatening Intel’s dominance in the performance chip space, and AMD is now ramping up the pressure further. Although AMD will reveal all the juicy details about the new chips when they start shipping on April 19, it did reveal that the 2nd-gen Ryzen chips will run on the new X470 AM4 chipset. One of the fundamental differences with the X400-series chipset is that it supports AMD’s SenseMI technology, which combines SSDs, spinning hard drives and RAM to boost overall system performance. The new chips will also work on X300-series motherboards with a BIOS update. All the pricing and specification details can be found below. ​One year after the first release of the award-winning AMD Ryzen processors, AMD (NASDAQ: AMD) announced pre-orders begin today worldwide for the eagerly anticipated 2nd generation AMD Ryzen desktop processors, with disruptive levels of compute performance at each of four price points1. Delivering high-performance computing and innovative new features, 2nd gen Ryzen desktop processors are built to create faster and smoother computing experiences for PC gamers, creators, and hardware enthusiasts.